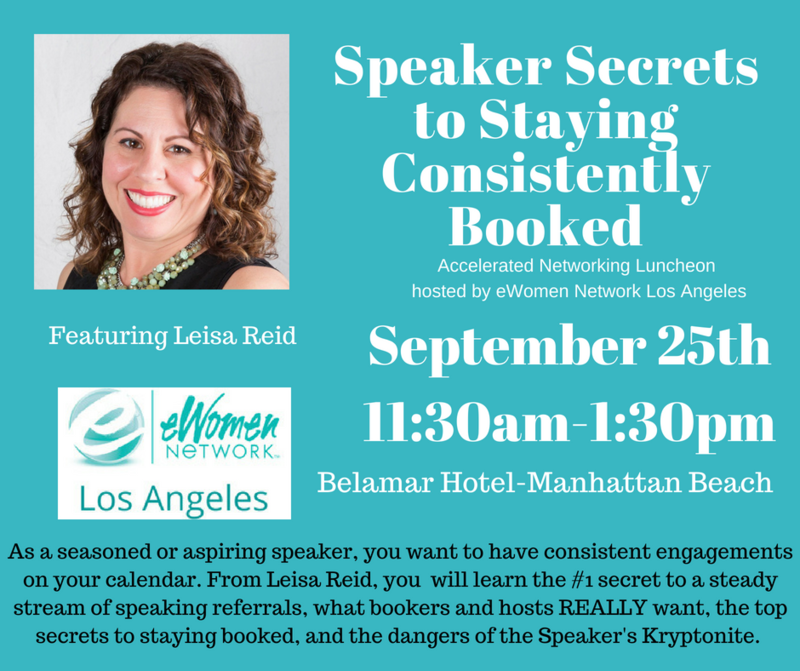 As a seasoned or aspiring speaker, you want to have consistent speaking engagements on your calendar. 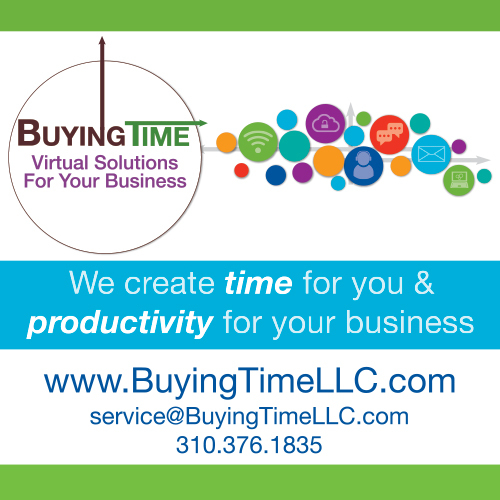 You will gain insights from this talk that have been proven to be successful. Leisa Reid: As a speaker and facilitator for Productive Learning, a personal development company, Leisa has booked and delivered over 350 speaking engagements in the last 5 years. While earning her Masters Degree in Speech Communication she was a Speech Instructor at California State University, Fullerton at just 22 years old. In 2013, she created the OC Speakers Network, a highly successful organization that encourages collaboration among speakers. She is a published author, a wife and a mother. 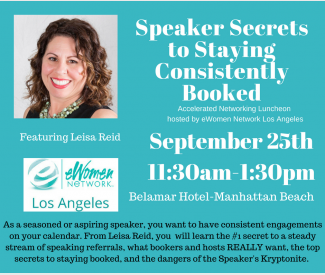 As the Founder of “Get Speaking Gigs Now” Leisa’s goal is to help speakers share their message with certainty so they can educate and inspire their audiences and ultimately increase their income through speaking.